I practised Pilates with a Body Control instructor for many years before taking on a house renovation and I felt selfish leaving my other half at home sanding walls and painting skirting boards on an evening whilst I trekked off to a second hobby. I knew enough, owned a mat and a foam roller and I promised myself instead to train at home alone. Which is what I do, but not as consistently or intensely as I did previously. This January I hit the gym with a Personal Trainer, I did four one hour high intensity training workouts. I loved every second, but the bill came to as much as Oscar's livery and it just wasn't sustainable. For this reason I have vowed to do a little more at home. 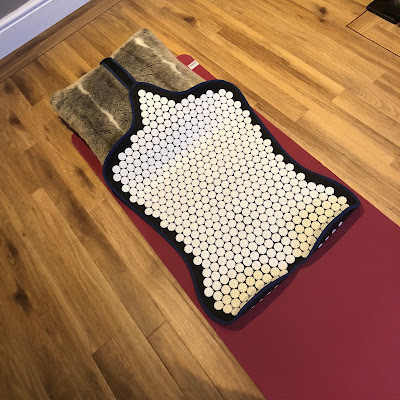 To help my body perform at it's best, and to encourage my mind to be in the right place I have started to use an Acuswedemat, more fearsomely known as a 'modern day bed of nails'. The Acuswedemat is ergonomically designed and shaped to the body. 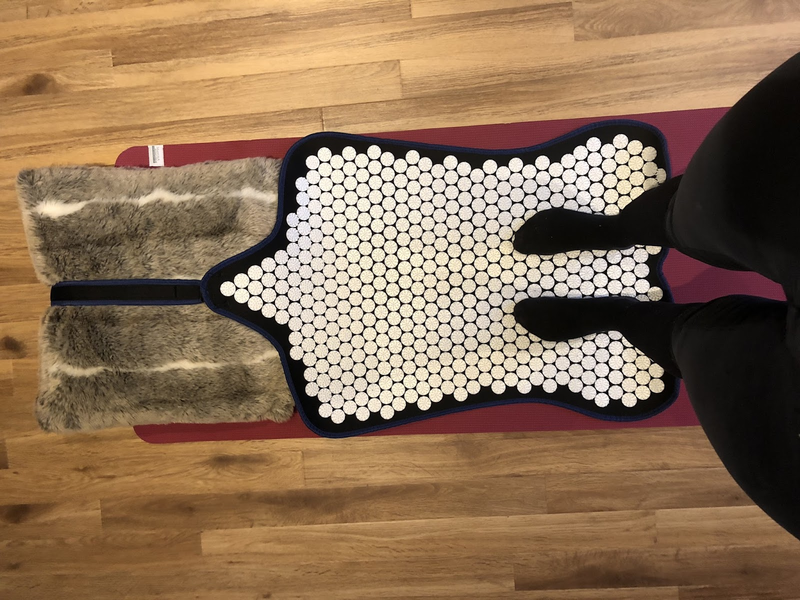 From the hips to the neck it is decorated with hundreds of circular discs covered in tiny spikes - these result in a combination of classical acupressure and Swedish innovation. Apparently 10% of the Swedish population have one of these...which is mind blowing??! How have I been using mine...? Before exercise for an energising 15 minutes. The time helps me focus my mind on what I am actually going to do, for example how far I will run, what Pilates exercises will I practice. The Acuswedemat increases blood circulation, that increases energy within the body and can improve flexibility. 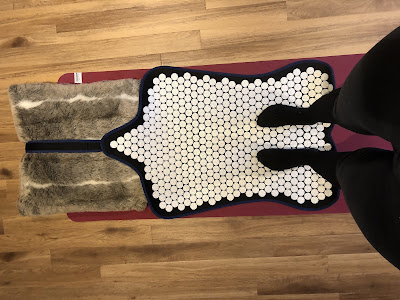 Again immediately after exercise, it aids recovery and helps to prevent muscle soreness as part of the bodies cooling-down process, as improved circulation helps the healing process. The Mat can be laid or sat on however you wish, with a foam roller, cushion or rolled up towel to gain maximum effect in a certain area. I find laying on my back, targeting my shoulders and neck with a cushion for my head the comfiest. The Acuswedemat can be used to simply wind down and relax on which is something I often do. I carry a lot of tension in my arms, that travels up to my shoulders and neck. The first time I used the Mat, the next day I ached. I woke up questioning why, unable to put my finger on it until the following evening when I laid on the Mat again and put two and two together. My body felt like it had endured a sports massage. This sensation eased with continual use and I feel much looser for it. As equestrians I think we often overlook the pressures we put our bodies under, casually labelling it as 'just what we do'. Whether it be pushing full wheelbarrows, carrying heavy water buckets or in recent months riding with out shoulders scrunched up around our ears on a freezing cold hack or when we hop on board and our horses feel fresher than we do, jolting our bodies when our muscles aren't as warmed up as they should be. 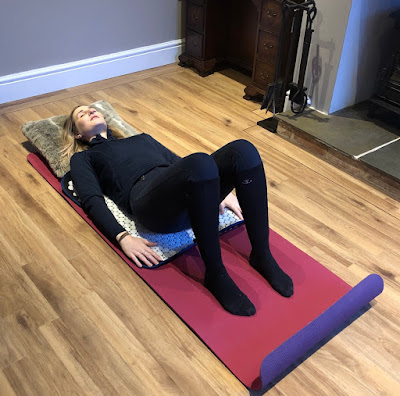 We take a lot of wear and tear and for me, the Acuswedemat is a one off investment that offers a natural and long term solution for those who want to prevent problems with stress, or pain and achieve a better balance and flexibility. And once finished with it neatly rolls up, like a Pilates mat and can be taken wherever you go, even competitions! Now that's a warm up routine to consider...? 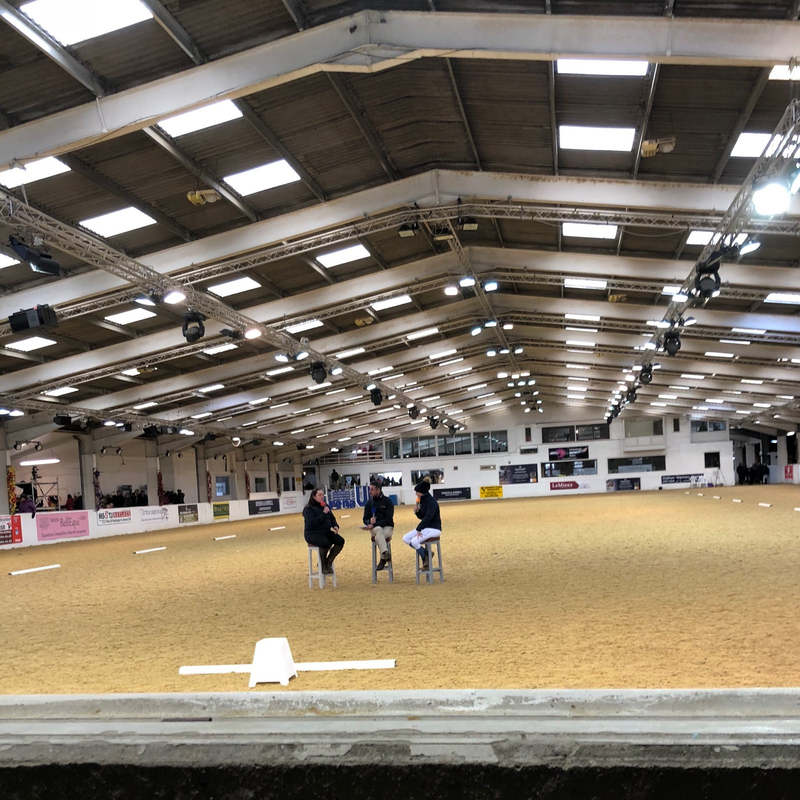 Yesterday I attended the Dodson and Horrell Perfomance Masterclass at Arena UK, battling gale force winds and snowstorms to take my place in the audience. 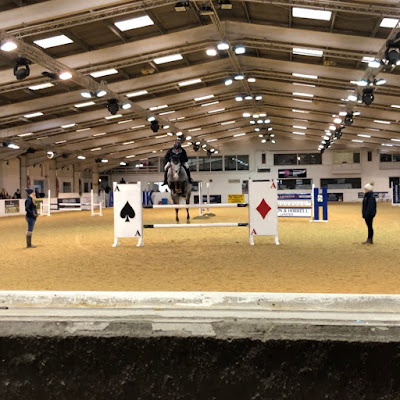 The event showcased the formula for success across all three disciplines, dressage, eventing and showjumping. 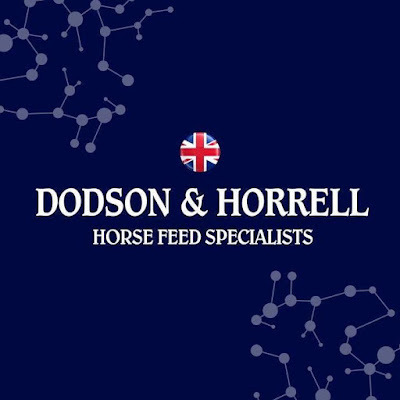 Stressing the importance of equine nutritional needs and a riders mental wellbeing. Richard Davison; spoke about the importance of being a horseman/woman first, dressage rider later. As he warmed up his fresh, powerful and athletic horse that clearly had dressage in it's blood, he came off of his back in the canter. Not precious that his seat was not one typically associated with the discipline. Richard then demonstrated the basics; the reaction to the aids and how it should be, the fundamentals of making the right thing easy for the horse by way of pressure and release. A pleasure to watch and reminder how essential good foundations are. Sophie Wells MBE then taught Event Rider; Julia Dungworth for 30 minutes. Julia's horse Gala was one we could all relate to, loves his jumping, yet gets easily distracted in the dressage...ohh did someone just sneeze, we should go check they're OK? Sophie asked Julia to work on a 20 metre circle, in the middle of the arena. As far away from any distractions as possible. Sophie asked Julia to spiral down to 10 metres, and leg yield back out to 20. Engaging her horses hind quarters and to not worry about his head. To improve the fluency of Gala's transitions, Sophie asked Julia to ride forwards to a movement by changing the 'gear' or 'tempo', a game of 'how slow can you go' before seamlessly transitioning from trot to walk. Inside leg trot, outside leg canter. Sophie's mantra, look up, sit up, ride like a winner, look towards your next movement and ride forwards into it. Piggy French bought Red to the party; Quarrycrest Echo a beautiful 11 year old chestnut horse who was very excited to see us all. 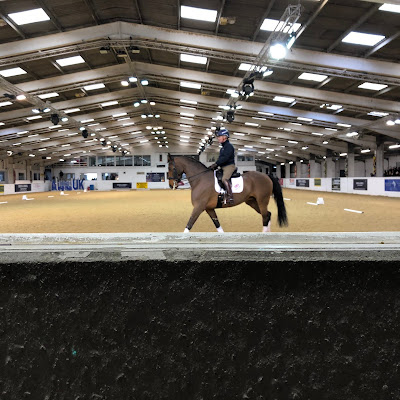 Piggy spoke about the importance of physical fitness in her introduction, sharing her personal experience of becoming a mum, that lead her to train her body off a horse for the first time. Piggy stressed how important it is to be safe when eventing, the extra strength and stamina is not to be underestimated. Piggy once warmed up with Red demonstrated how XC schooling can be practised at home with a little creativity. Gradually shortening the widths of fences to extreme skinnies and jumping them on different angles and strides, explaining when out on the course you can gallop to an inviting steeplechase fence but then have to quickly collect to turn a corner and jump a tricky combination. 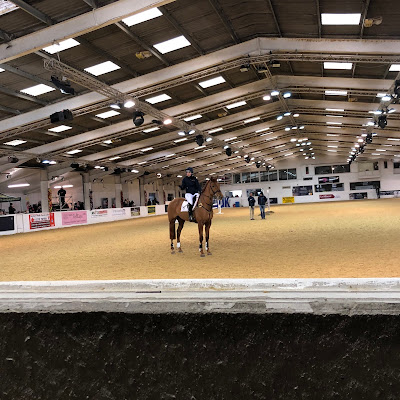 Julia and Gala then came back into the arena with Dr Karl Steptoe CPSychol a Sports and Performance Psychology Lead at Loughborough University. Karl spoke about pre competition nerves, developing self-belief and learning to cope with the pressures of the sport. Julia talked through her routine and the importance of keeping things 'normal' on competition days. Julia likes to drive the lorry and have the dressage test read to her. Julia then rode a series of jumps with live commentary. Gala knocked a pole, Julia was unaffected by this, jumped another fence and calmly re-approached and Gala cleared it. Karl praised Julia's positivity and her ability to continually think about her next move. Geoff Billington, what a finale! The audience laughed from start to finish and were in awe of his horsemanship. Geoff rode two horses and jumped gigantic fences, he spoke about their tack and feed, listening to the horse and not being afraid to try new things, one of his jumped for the first time in a hackamore. Geoff demonstrated control and how his horses have to be ridable and able to cope with atmosphere, never afraid of being too loud and building up cheers from the audience with his younger horse. Cool, calm and collected with an awesome sense of humour, what more is needed in the saddle? 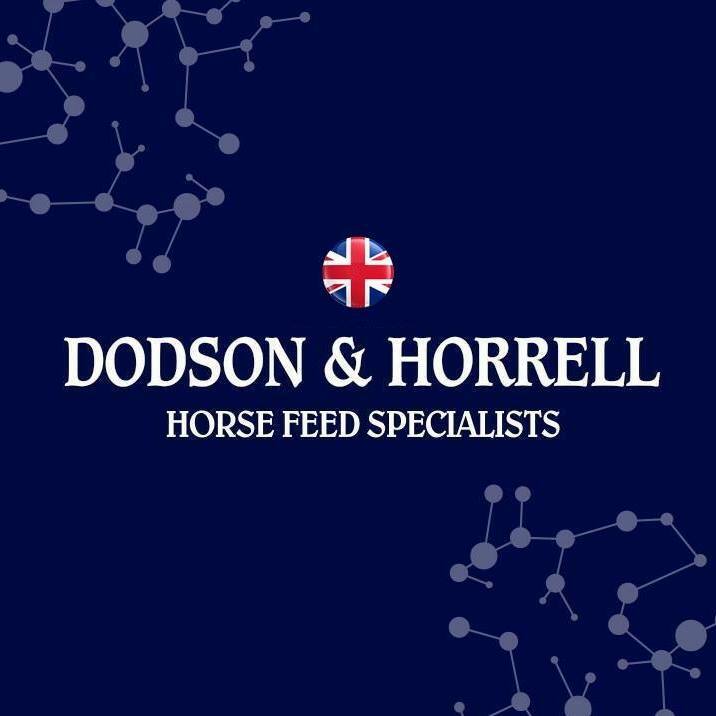 My ticket cost £20 and all ticket sale profit proceeds went to the Brooke Charity and I would like to thank Dodson & Horrell for hosting such a fantastic and informative event. Can I book my seat for 2019...? 2018; women, their rights and true equality have taken centre stage like never before. I am fortunate to have grown up surrounded by strong and inspiring women, my mum, grandma, friends and work colleagues. Not all, but most of these were also supported by great men, my dad is the biggest rock to us all and it was always my Grandpa in the kitchen cooking up the best Sunday roasts, these gentlemen mustn't go unmentioned. I love to watch her ride, she is strong, elegant and unfazed by the horse power beneath her. True poetry in motion, it's in her blood. I am sure of that. When interviewed for CNN, Bryony shared her thoughts on the perception that women aren't as good as men at racing horses "But they're not facts, you don't need to listen to them". With less than one in ten race jockeys holding a professional licence being female, they only take 5% of the rides available. Women like Bryony will certainly inspire the next generation...I know who my money will be on in April's Grand National. The first female jockey to ride in a race was Merial Tufnell; 6th May 1972. She successfully scared all the men by winning aboard her mothers horse, Scorched Earth. I wasn't that comfortable with the title I gave Mary...'Event Rider' because to me she means so much more. Mary and her green silks are my first memory of British Eventing. A woman who has represented Team GB at six Olympic Games, numerous World and European Championships. Most famously in October 1995 when Team GB took home a bronze medal for her to later reveal she was 5 months pregnant with her daughter, Event Rider; Emily King. A former World Number One, winner of both British Four Star tracks, Badminton and Burghley. Not forgetting to mention Kentucky too and the British Open Title at Gatcombe! She is wonderful and has and always will be an idol of mine. Lady Martha is an extraordinary equestrian and I am mesmerised by her beauty and bravery. Made for the British Countryside, she is a custodian of riding aside, proving that women can do both! Keeping the tradition alive, in the right way she also has a made-to-measure habit design company; Sitwell and Whippet and an elegant field clothing range with Harry Hall. There is endless good that Lady Martha does too, from designing our dutch courage drink; Martha's Marveollous Jumping Juice and donating a percentage of the proceeds to a Spinal Injuries charities to riding the 650 mile Mongolia Derby in memory of her late sister for numerous Mental Health Charities. I could not have written a blog in celebration of female equestrians without a mention of Charlotte Dujardin. 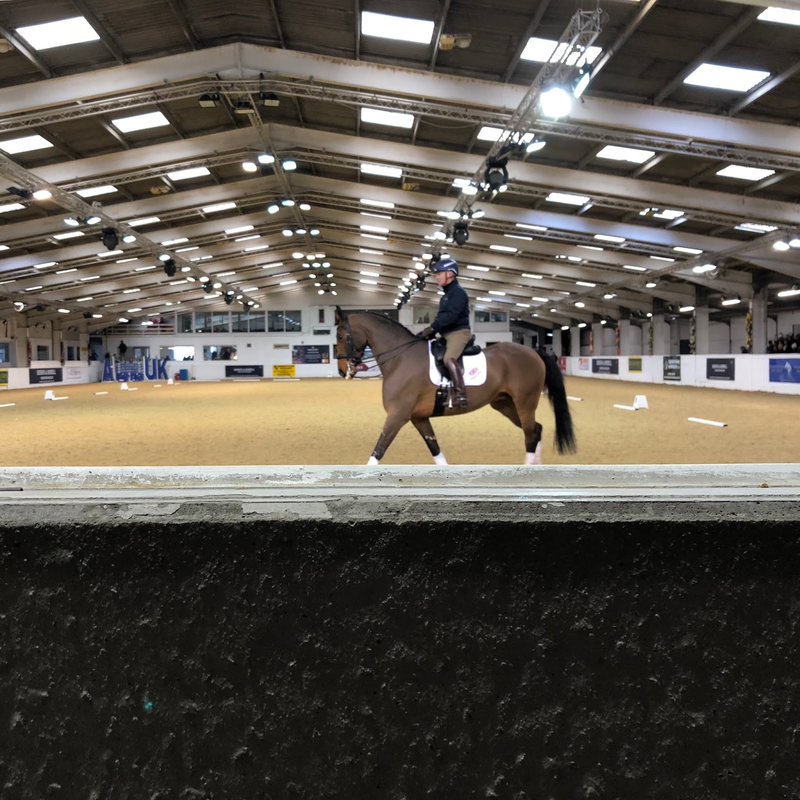 With her dancing partner Valegro, Charlotte holds the complete set of individual dressage titles; Olympic Freestyle, World Freestyle and Grand Prix Special, World Cup Individual Dressage and European Freestyle and Grand Prix Special titles...writing those alone made me dizzy. Charlotte is the first, and to date only, rider to hold this complete set of titles at the same time. 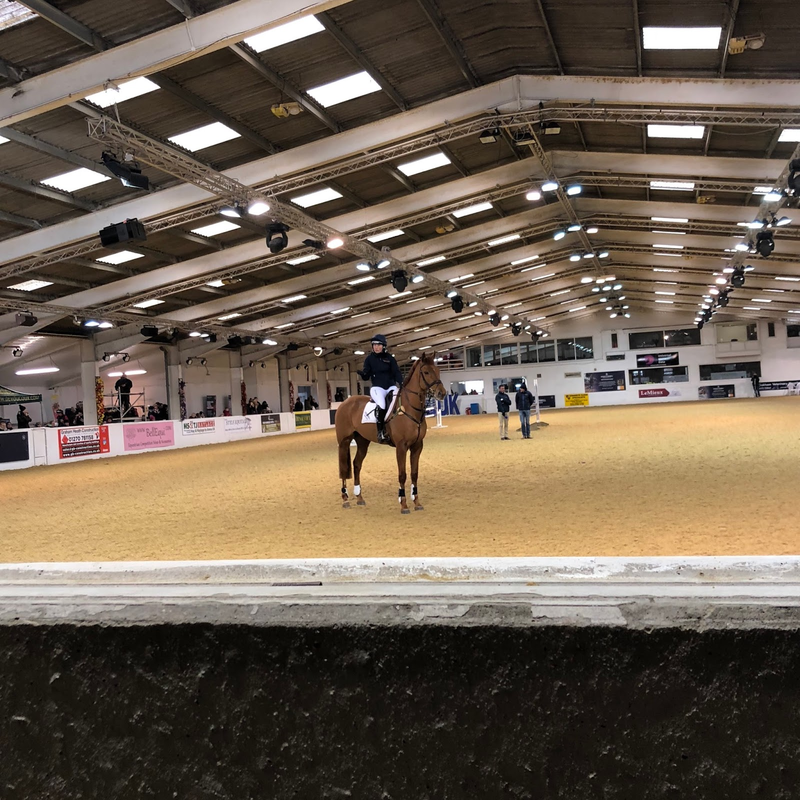 Charlotte is also a great female equestrian to end this blog with too, because she wouldn't be where she is today without many of the fabulous men in her life; Carl, Alan, Dean, Ian...Valegro, to name just a few. Horsely is a new and exciting online equestrian shop, aiming to provide horse lovers with high quality and price competitive products. The company contacted Gee Gee and Me towards at the end of 2017 and we instantly clicked when I read their mission statement "it's not a hobby, it's a lifestyle" I love it when a company gets us (equestrians). 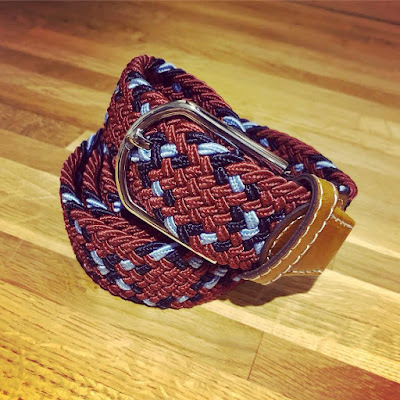 Horsely brightened up my February by sending me a stunning braided belt to try out. 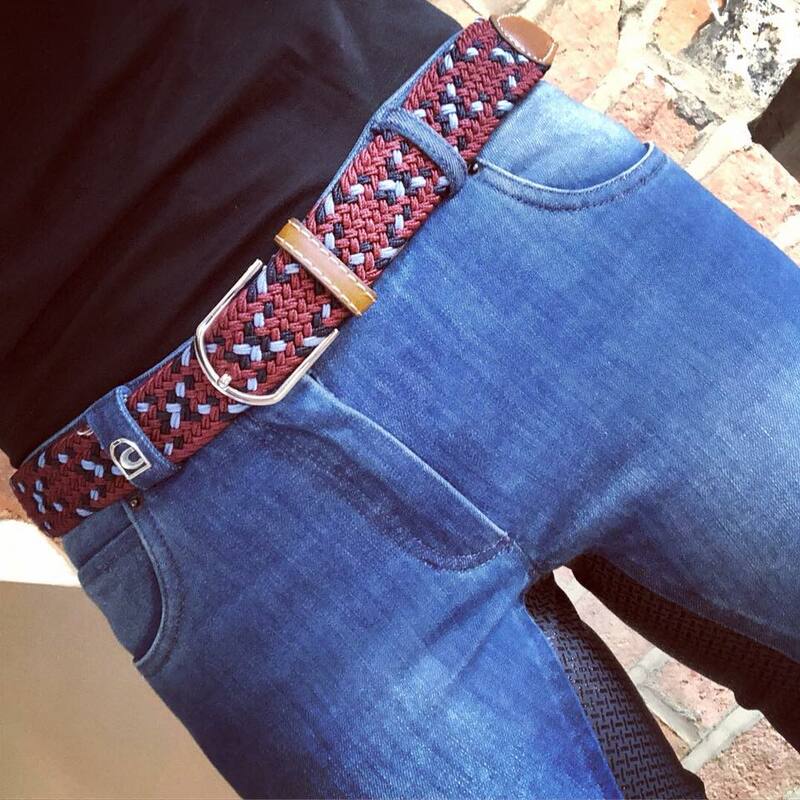 Available in a range of colours the belts can be coordinated to match any outfit, even your XC colours! The braiding means it can be buckled to any size and high or low waist breeches or jeans, making them unisex too. My belt is a trio of red, blue and brown and matches both of my brown and black cherry tall riding boots, although has spent most of its time wrapped up under layers and layers of clothing, until the warmer weather arrives...roll on Spring. The belts cost £22.99 with free worldwide shipping, and the website is the perfect place for gift shopping. Horsely have a beautiful range of cushion cases, desk accessories, handbags and socks. A page firmly saved in my favourites tab for future birthday gift buying, take a look...here.